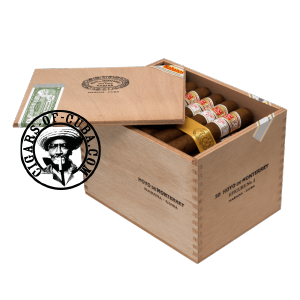 Many a smoker will have started their Cuban apprenticeship with this agreeable Robusto. It's floral bouquet, brought out by a touches of gingerbread, opens on a completely unexpected, but pleasing fresh and dry note. This is a medium bodied cigar, but the complexity of blend can sometimes make it feel stronger to the novice palate. The aromas respond well to the fresh air of the outdoors and this Epicure No.2 will be most appreciated on a gentle stroll through the forest. Fresh cedar smell emerges as soon as you slide open your big Cabinet. It's filled with a light complex earthiness juxtaposed with sweet, woody, floral flavors. A sweet woody finish that produces an overall smooth taste, but can be fairly intense compared to the rest of the smoke.